Happy Cyber Monday, friends! Hope you guys are finding all those sweet online deals and had a wonderful Thanksgiving weekend. Mine was filled with family, food, and football, so basically it was the perfect time. But now for the F word that rules my life: fashion! (What did you think I was gonna say!?) Now that Thanksgiving has come and gone, the holiday season is upon us, and it's a fun one for a fashion lover like myself. There are thousands of sales to shop, Christmas wish lists to make, and new items to lust over. 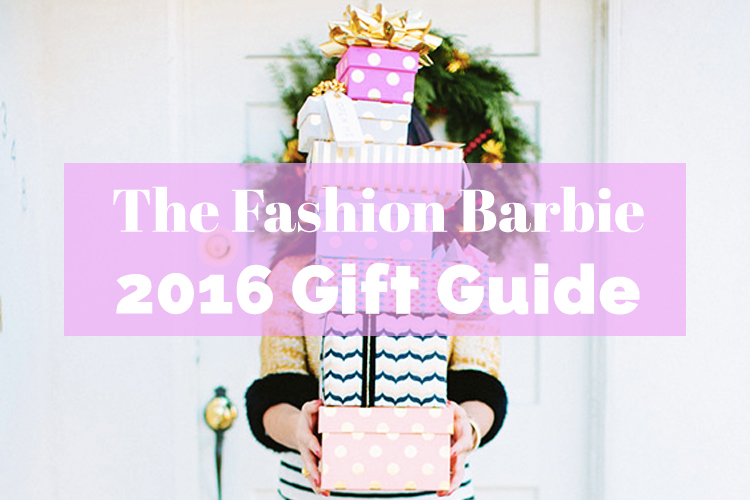 But perhaps my favorite part of this time of year—fashion-wise, at least—are all the gift guides! 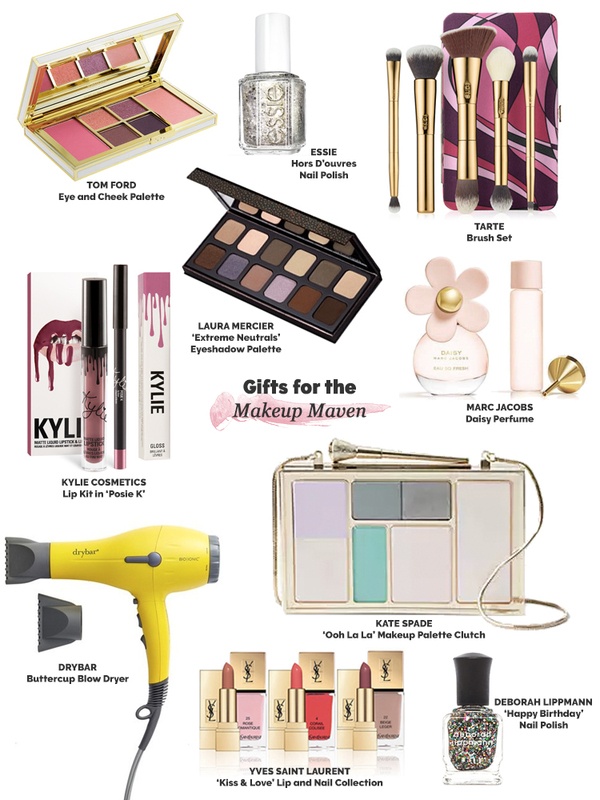 I love gift guides. I love reading them and I loooove making them. 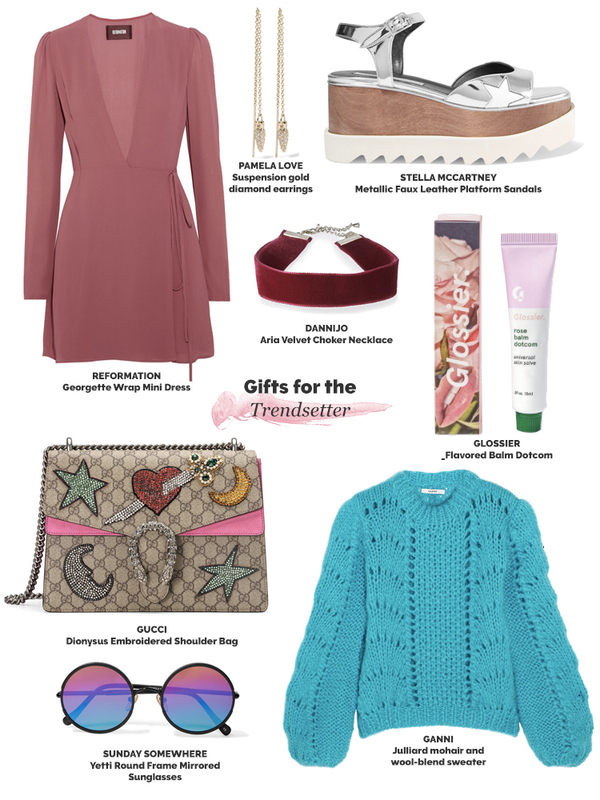 Not only does it give me an excuse to online shop for hours on end as I scour the ends of the Internet for the perfect gifts, but I love creating perfectly-curated guides for the many different styles of women out there. I get to let my imagination run wild, and I hope you guys enjoy the end result! 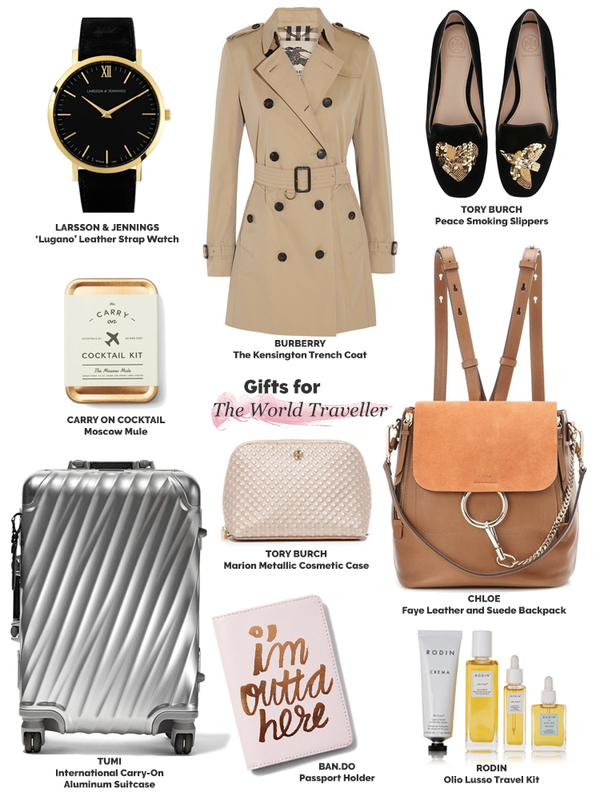 This year, I made gift guides for five different 'types' of women: the trendsetter, the cozy cutie, the lady boss, the makeup maven, and the world traveller. There's a little something for everyone, so whether you need gift ideas for friends and family or just want a little something for yourself, check it out! 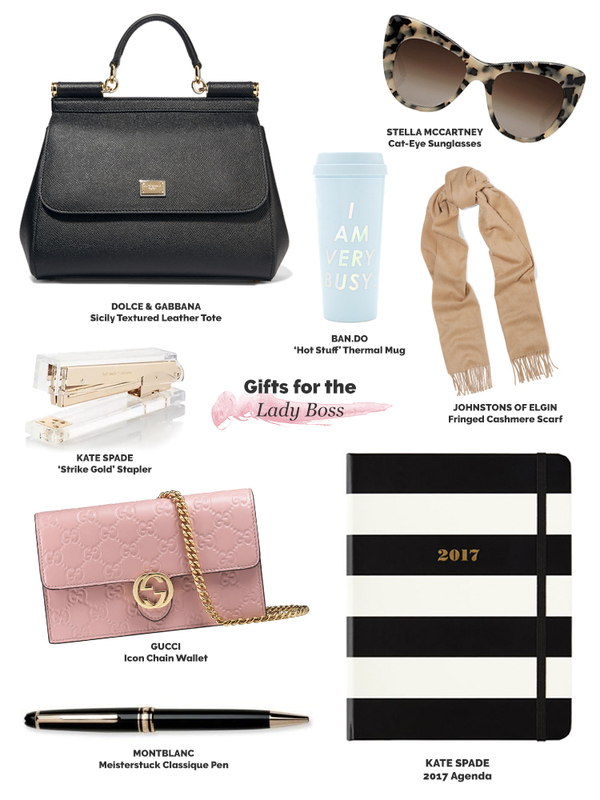 Just scroll to the bottom of this post to shop your favorite gift ideas! P.S. Later this week, I'm going to be posting Under $25 and Under $50 gifts, so look out for that in the next day or two! The Trendsetter is the most fashion-forward of the bunch. She always knows the latest trends and the coolest up-and-coming designers. She's not afraid to stand out from the crowd, and her outfit is always Instagram-worthy. The Cozy Cutie is all about comfort. 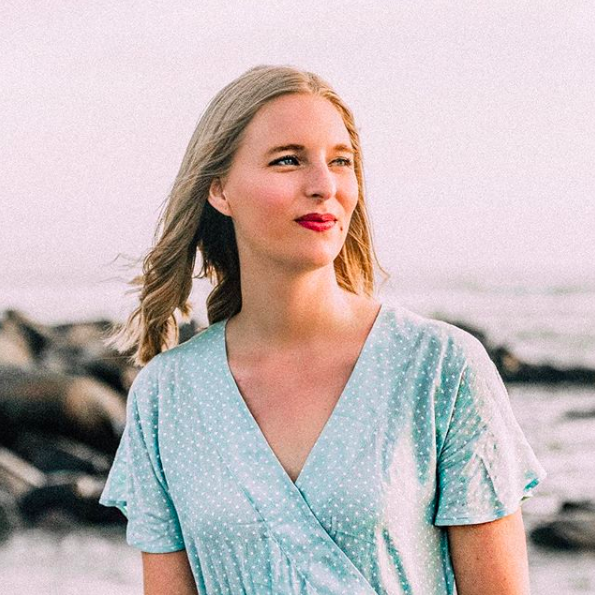 She rocks sweatpants as much as humanly possible (but stylish, slim-leg cashmere sweatpants) and prefers a luxurious skincare routine to loads of makeup. You'll often find her bundled beneath a fur blanket, Diptyque candles lit, watching Gilmore Girls on Netflix. The Lady Boss gets s*** done. She's a busy, career-minded woman with a fierce wardrobe and insane organization skills. She rocks cateye sunglasses like no other and can recommend 10 different calendar and note taking apps for your iPhone. But sometimes she prefers an old school approach, so she still keeps a day planner to keep her affairs in order. The Makeup Maven can always tell you when Kylie Lip Kits are restocked. She has mastered the art of the perfect eyeliner wing (ugh, seriously, so jealous) and follows at least 100 different makeup artists on Instagram. She may take 2 hours to get ready to go to the grocery store, but her contouring is always on point. The World Traveller is going places—literally. She has strong opinions on the roll vs. fold debate when it comes to packing, and she gets through the security line so fast you'd think it was an Olympic sport. She can recommend the best places to hang out during layovers at most major airports, and she's mastered the art of the carry-on friendly skincare routine, so even after a 14 hour flight, she still looks #flawless. Plus, her travel photos are phenomenal. These guides are seriously phenomenal! I want everything!